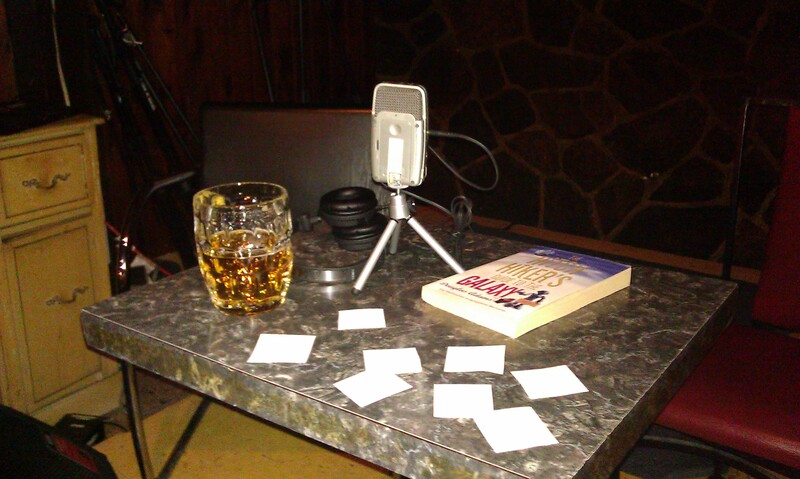 My live podcasting setup onstage at Imperial Pub. Visible are the raffle tickets for the prize I offered that night: a book, "Hitchhiker's Guide to Galaxy" by D.Adams. Seemed appropriate. Posted in English podcast and tagged as Imperial Pub, live, nights, on stage, podcast, podcasting, Scarborough Dude, Toronto.